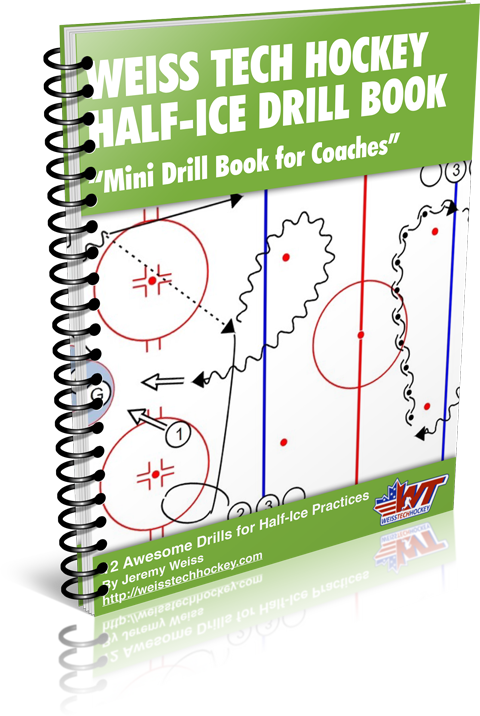 The 6 Puck Shootout is a fun drill that works on breakaways. Since it’s a race, players run through at full speed, and have more pressure than in typical shootout drills. I love slotting this one in at the end of practice! 1. Players set up as shown, half in each bench. Goalie in each net. 6 pucks on each blue line. 2. On the whistle, the first player on each team takes a breakaway. 3. 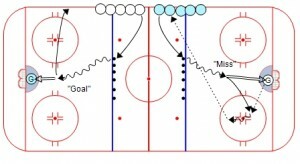 If the player scores, he or she has to race over and touch the boards before the next player can go. 4. If the player misses, he or she must get his or her own rebound and pass it pack to the next player in line. 5. First team to score all 6 pucks wins. Losing team (including goalie) does push-ups. 6. 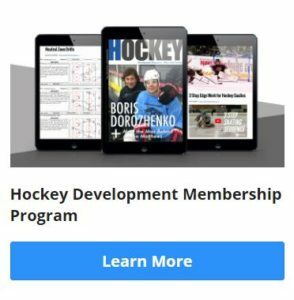 Switch goalies and play again.